Ideal for meetings, seminars, and visitors. 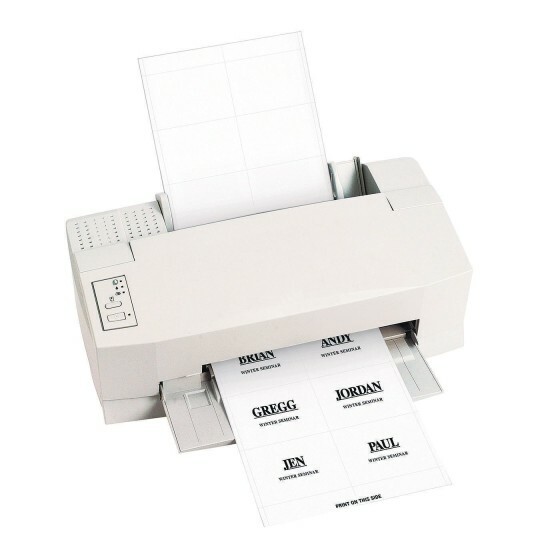 Create impressive name badges instantly using your laser printer. Plain inserts for clip, pin, and hanging style name badge holders. 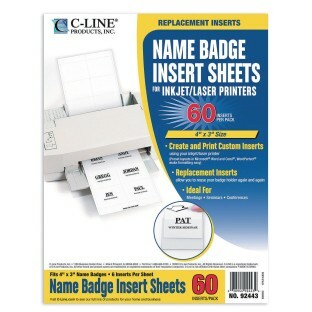 Compatible with all industry standard label software and come on 8-1/2” x 11” sheets. Works with built-in templates in Microsoft® Word and Corel® WordPerfect®. 10 sheets with 6 inserts per sheet for a total of 60 sheets. Each badge insert sheets measures 4” x 3”.